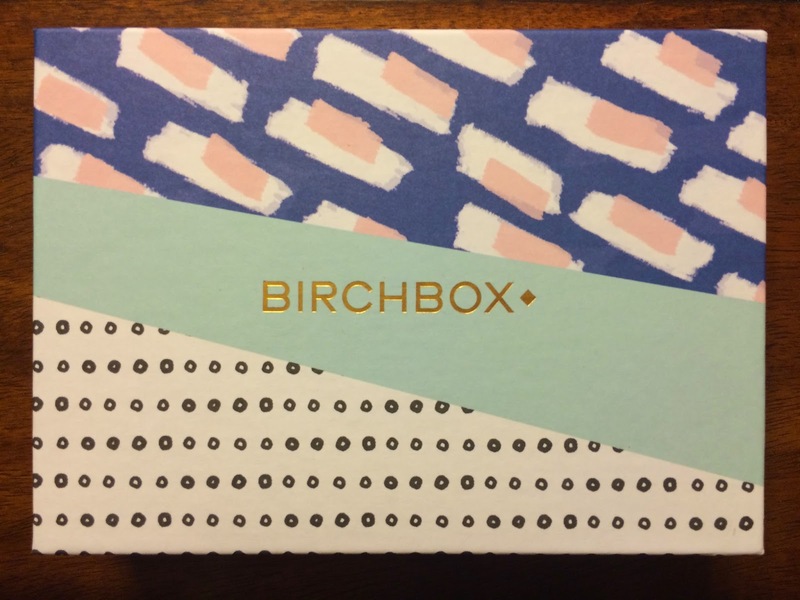 My March Birchbox came last week and I wasn't able to peek at what I was getting because I got it early. It was a nice surprise opening the box, without any idea what was inside (except for the one item I selected this month). 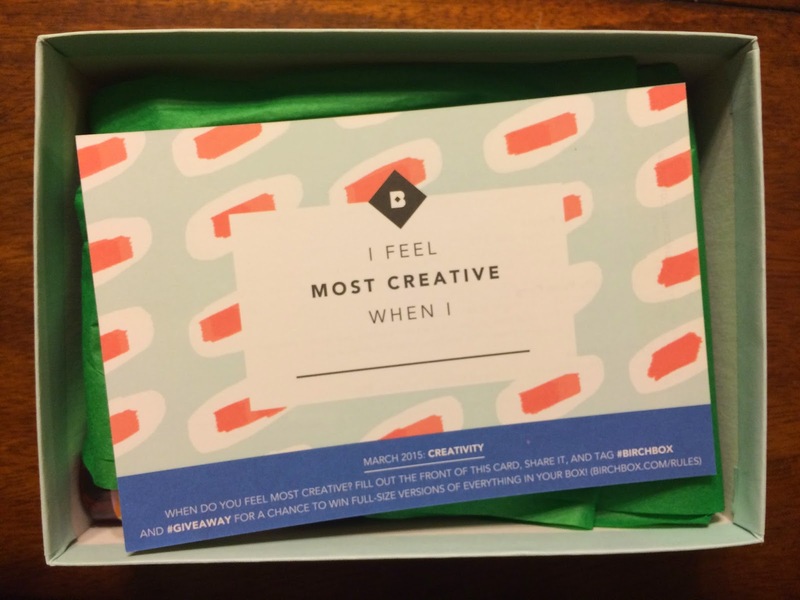 This month's theme was creativity and I loved the designs on the boxes. I really need to figure out a way to use all my Birchboxes, does anyone have any ideas?!? Seriously, how cute is this box! There were multiple color combinations this month. 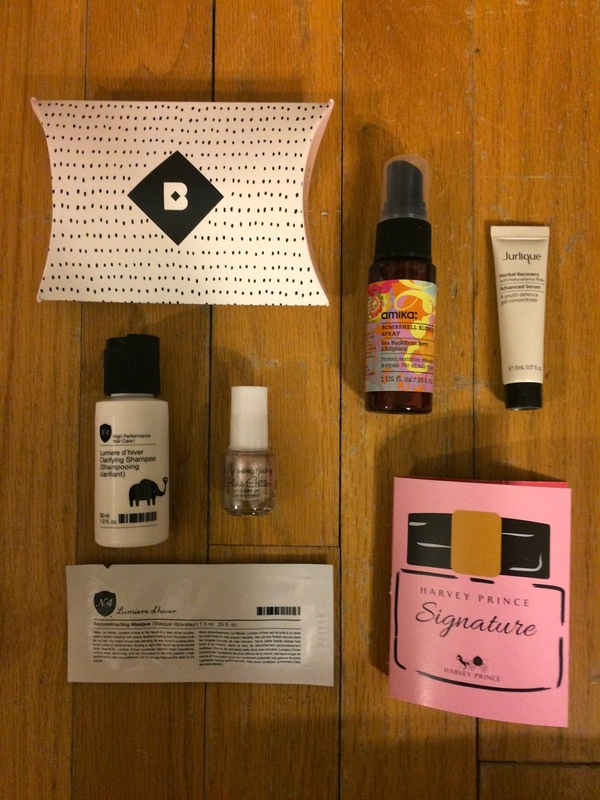 Here is a peek at everything I got in my March Birchbox. 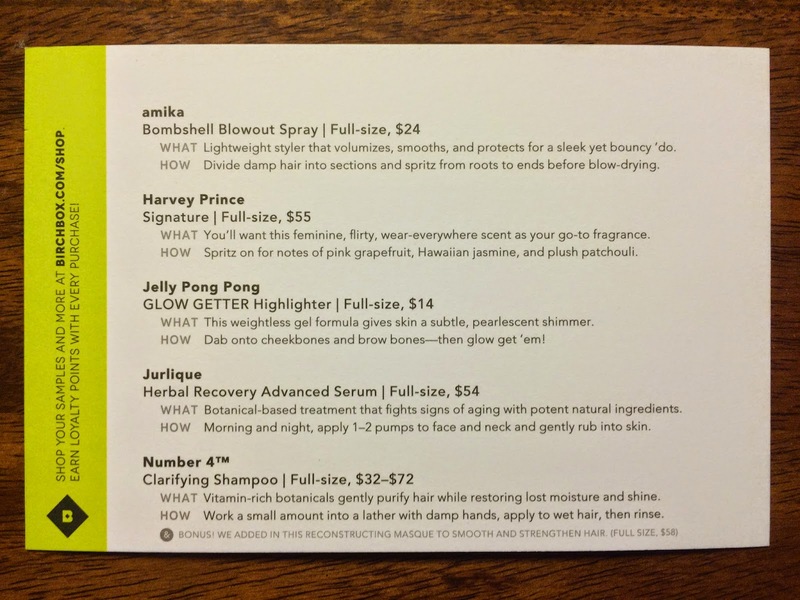 The item I chose for my box this month was Amika Bombshell Blowout Spray. I haven't had a chance to try this yet. I've been very lazy about doing my hair lately. But this spray supposedly volumizes, smooths, and protects. I can't wait to try it. 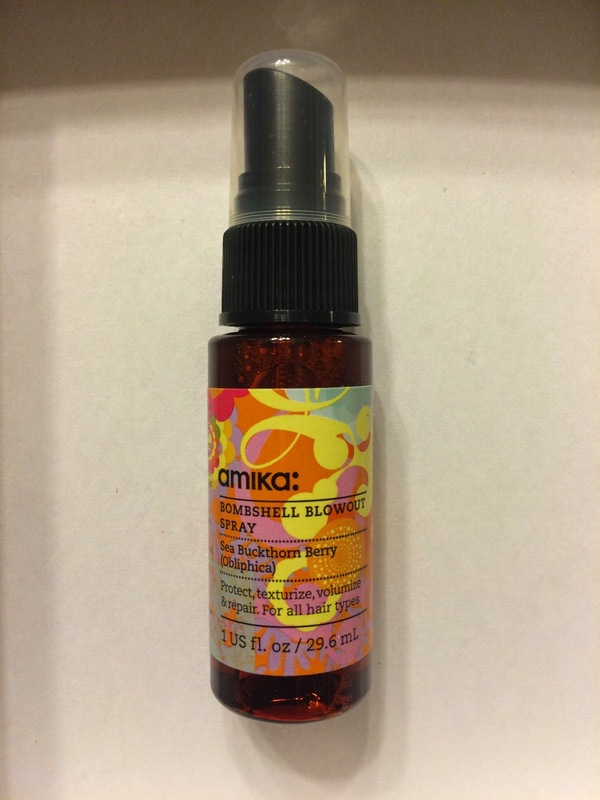 I already know I love other Amika products I've tried and the scent of the products is great! 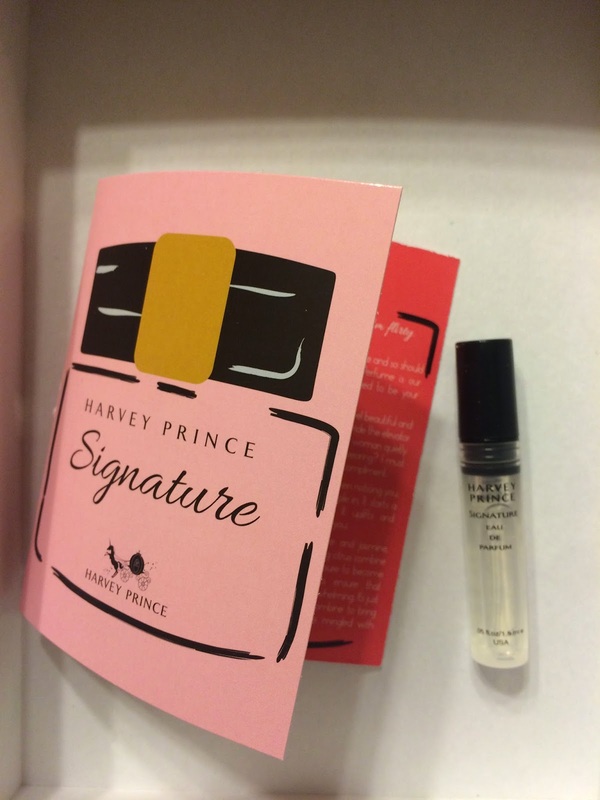 I also received Harvey Prince Signature perfume. This has notes of pink grapefruit, Hawaiian jasmine, and plush patchouli. I'm not a fan of perfume and I really don't like patchouli, which is all I could smell when I sprayed this. So, I won't be wearing this at all. 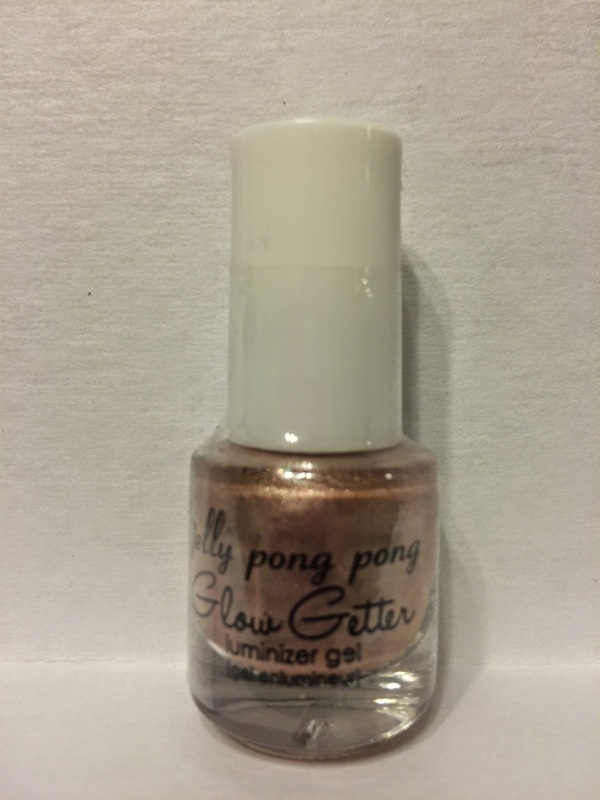 Another sample included was Jelly Pong Pong Glow Getter Highlighter. This is packaged like nail polish and I really thought it was nail polish until I read the information card. My 2 year old also thought it was nail polish and insisted I paint her nails. This is actually highlighter and I thought I would like the nail polish brush applicator, but it made it difficult to blend. I wasn't too crazy about this because it didn't seem to blend into my skin well. 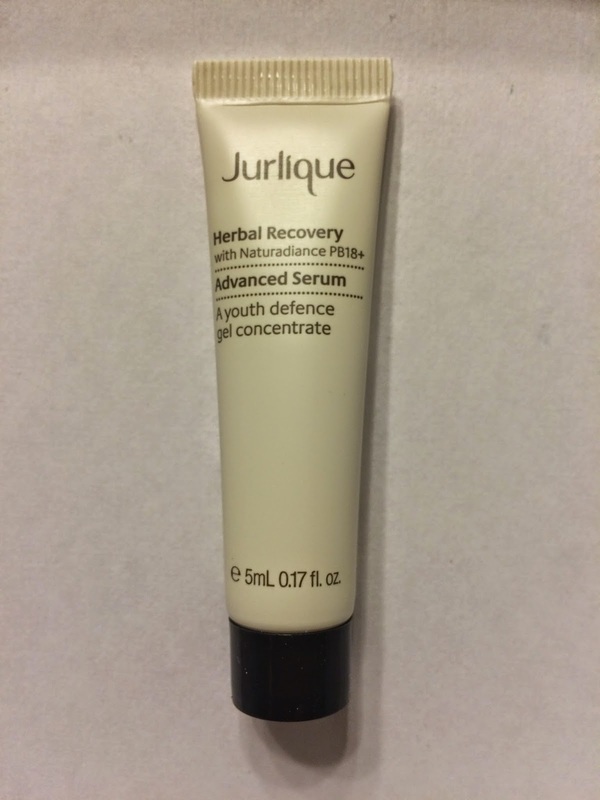 I received Jurlique Herbal Recovery Advanced Serum. I've tried this product before (not from Birchbox though) and really like it so I was happy to see this sample, which I quickly used up. Jurlique products have a very nice herbal scent that I love and they sink into my skin nicely and work effectively. The last product I received was Number 4 Clarifying Shampoo. These products work great to make your hair soft and clean, but I can't get past the strong scent that reminds me of bug spray. I wish they would change the scent of these products because they really do work well for my fine, thin hair. But the scent lasts forever and just gives me a headache. 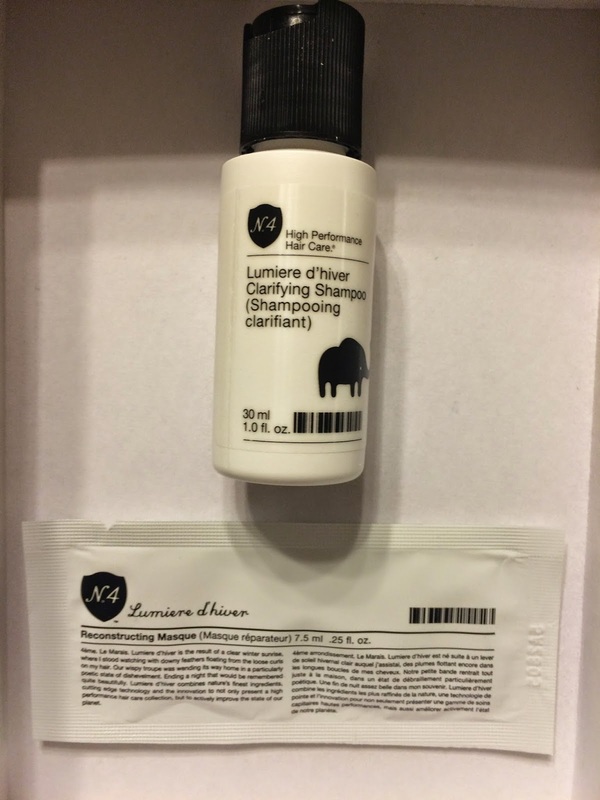 Birchbox also included a foil sample of Number 4 Reconstructing Masque with this sample. This made my hair so incredibly smooth, but I can't get over the scent. Too bad really. So, there wasn't a whole lot of products I loved in this month's Birchbox, but that's part of the reason I love this subscription. I don't feel bad about throwing out a sample that doesn't work for me, but if I threw out a whole bottle of product I purchased at full price I would feel differently. I'm happy Birchbox lets me sample products, even if they don't work for me. And for the amount of time I've been subscribing, I've found some amazing products I can't live without.